This week, we have the most exciting look at a patent that could reveal what the HoloLens 2 will look like (we’ll know sometime this month! 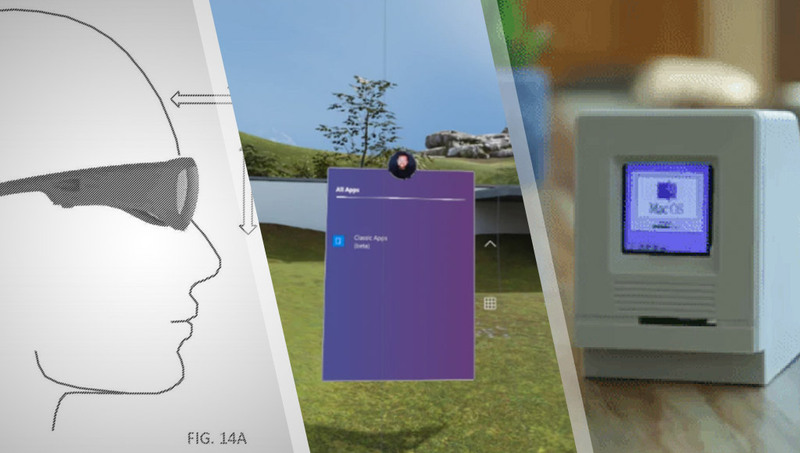 ), Windows Mixed Reality can now run regular Win32 apps, we’ve got a super tiny Macintosh running on an Adafruit HalloWing, the reveal of the buyer of Meta and more! What the HoloLens 2 might look like, Windows Mixed Reality can run Win32 apps and a super tiny Macintosh! I wrote a free guide over at SitePoint for anyone looking for a springboard into working with some emerging tech in 2019! Cycles was Disney’s first full VR animation and they’re keen to do another! You’ll play the son of Bill Murray’s character in the original film, living your own Groundhog Day! One person hosts a room, EXA keeps layouts synced for the various instruments as well as items, playback states, metronome and live ringer events. A neat DIY motion simulator got a highlight over at Hackster! They previously built a way for you to play SteamVR on a smartphone VR headset, now they’ve provided a way for you to also connect a smartphone as a controller with the Oculus Go and Vive Focus. “A wearable brain-based device called NGoggle that incorporates virtual reality could help improve glaucoma diagnosis and prevent vision loss”. A three-part story narrated by Colin Farrell all about “a pint-sized zombie struggling to find his place in a bleak world fractured by ongoing conflicts between the zombie and human populations”. Antony shows how to record videos with a Vive Focus! This VR app showcases Wellington, the capital of New Zealand, in a mix of different types of VR experiences. This project has spent 22 years creating a digital reconstruction of ancient Rome! This Microsoft patent looks like its much more like the slick, glasses-style competition that has been popping up in 2019. Microsoft has added the ability to launch regular Win32 desktop applications in Windows Mixed Reality! A really neat look at the optics hardware on the aforementioned Leap Motion’s North Star headset and how it all works. By “try on” they mean you can see what they’d look like. It’s an interesting idea, but you’d still need to physically feel what the shoes are like to wear after that right? The new owner of Meta is a new company called “Meta View” founded by Mayer Gniwisch, a general partner at Oliver Tree Ventures – one of Meta’s investors. Meta View are looking likely to lose the patent in question in the lawsuit though. 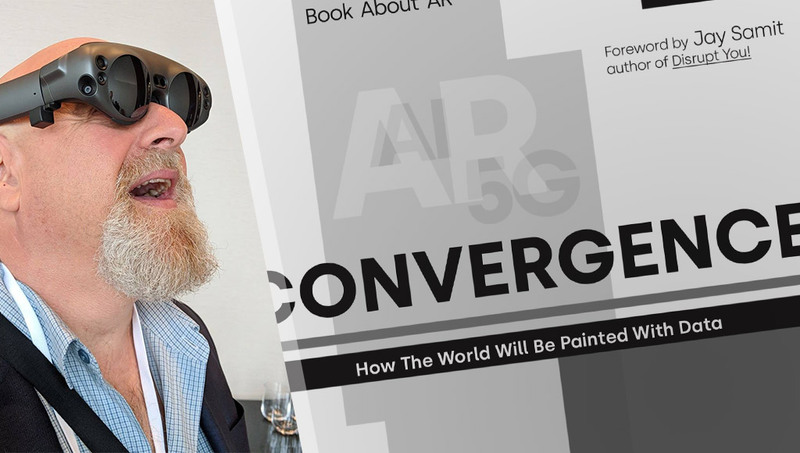 Apple are, of course, keenly working behind the scenes to get into AR even more very soon. Apple is likely to have a triple camera system that’ll enable more AR capabilities according to rumours. Epic Games say that Nreal is too close to their trademarked “Unreal” name (e.g. Unreal Engine). I’m all for comics appearing on all emerging tech! We’ll have to find out exactly what this leak is, but it appears to be a more metallic look. Venturebeat see it as a “circular Apple Watch, now without the company’s signature rotating bezel”. Artificial intelligence grew faster, better, and more controversial in 2018. What’s ahead in 2019? All About Circuits looks back at 2018 and forward to what may be in store for 2019. “NVIDIA is currently using artificial intelligence to revise textures in many classic videogames to bring them up to spec with today’s monitors” — they’ve started with Zelda in China. Google appears to speak the most so far, but some assistants might surprise you with how many they speak! It is smaller than an ant! Wired look at Google’s new white paper where they suggest “tech companies are best left to themselves on how to deploy AI, but highlights areas where the government might help”. The robot didn’t know what shape it was, what geometry or capabilities it had but was left to work it all out itself. It did very well! They’re aiming to use machine learning to find Varroa mites in hives that can cause bees to be weakened and deformed. We have a Jenga playing robot but there’s more to it! IBM is hoping to help combat biases in machine learning models. “In a scientific first, neuroengineers have created a system that translates thought into intelligible, recognisable speech” — huge breakthrough! Tanay Pant from CrateDB had a guest post here at Dev Diner where he explored the use cases of sensor data with IoT devices and where CrateDB shines as a new distributed SQL database. It’s so tiny and so amazing! One rather intelligent guy built an Arduino-esque development board around the same 6502 processor used by retro PCs in 1975. 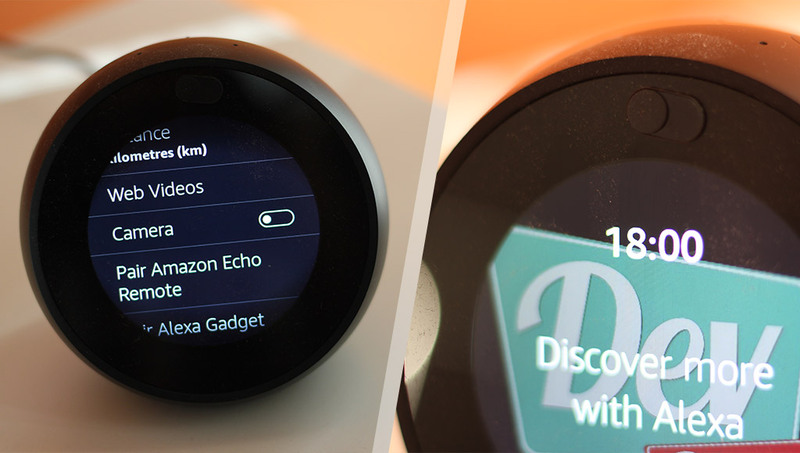 Choose your own adventure with Alexa! Thinking about making your own Raspberry Pi Compute module carrier board? For those who want to get their hands dirty! Lots of info is available now on this. Valentine’s Day is almost here, so why not give an LED-lit PCB flower instead?